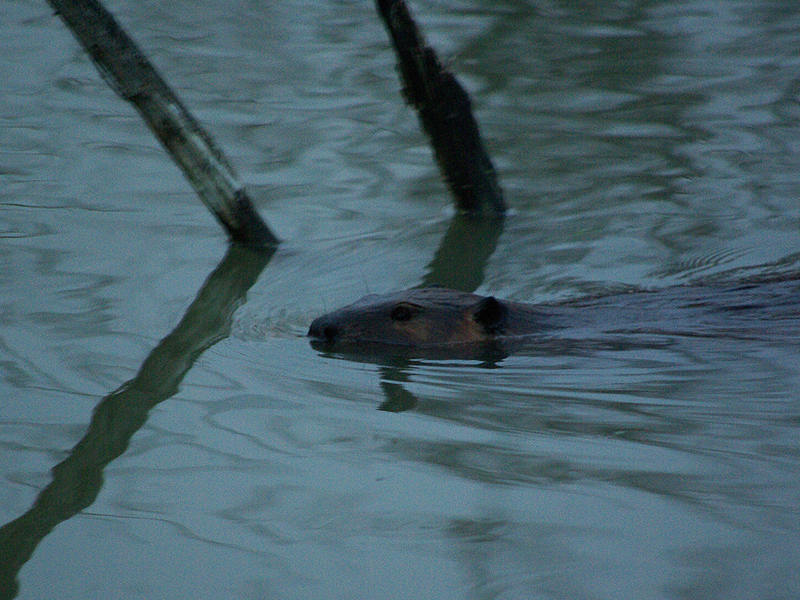 On an early morning walk, I discovered two Beaver Ponds within just a couple of hundred yards/meters of each other. 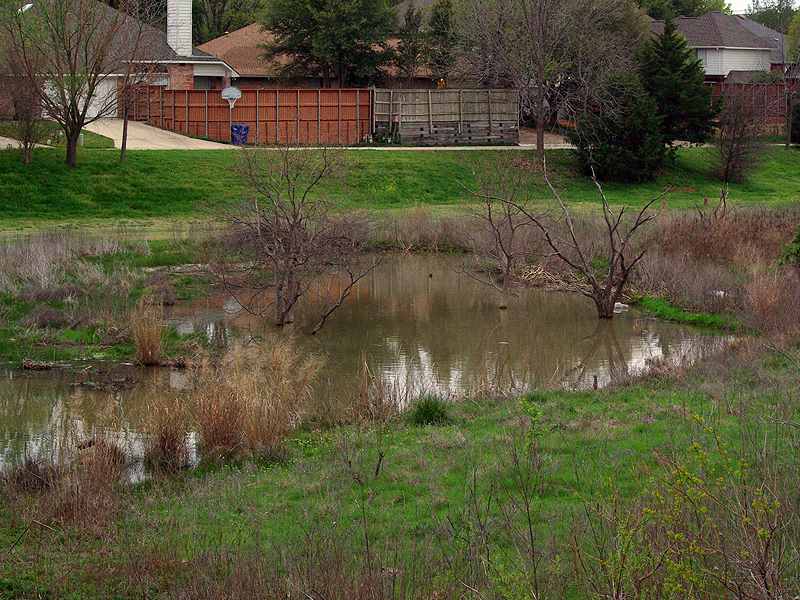 The ponds are located in a greenbelt that runs between a residential subdivision on one side and an apartment complex on the other. 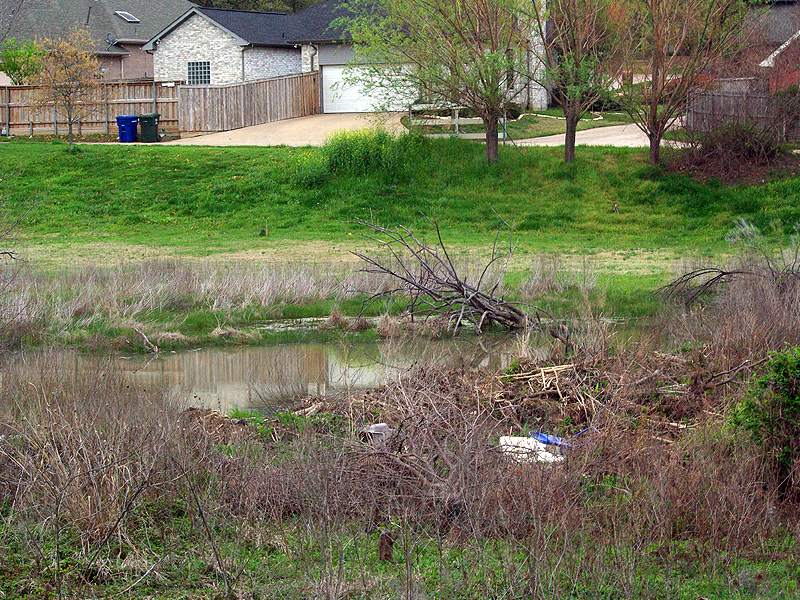 A small, intermittent stream flows through the center of the green belt and trees have grown up all around it. 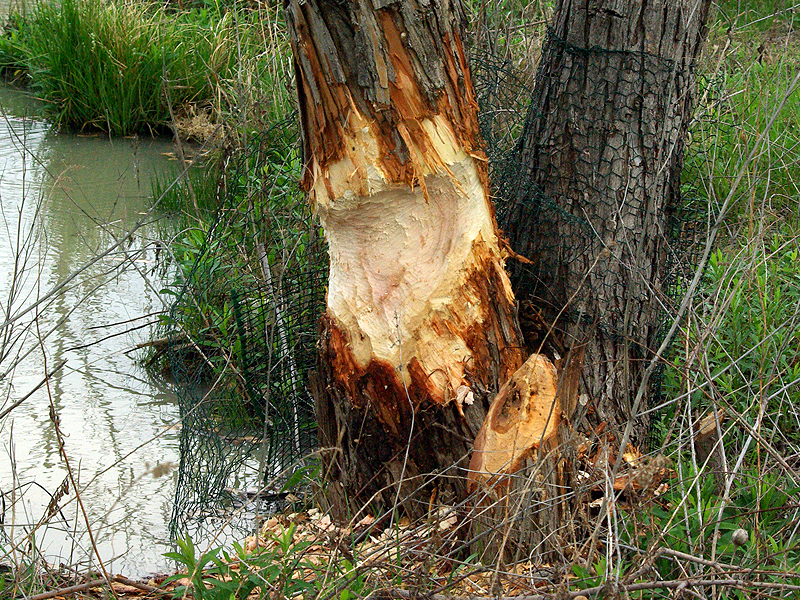 Signs of Beaver activity became abundant as I approached the first pond. Freshly cut trees caught my attention first. 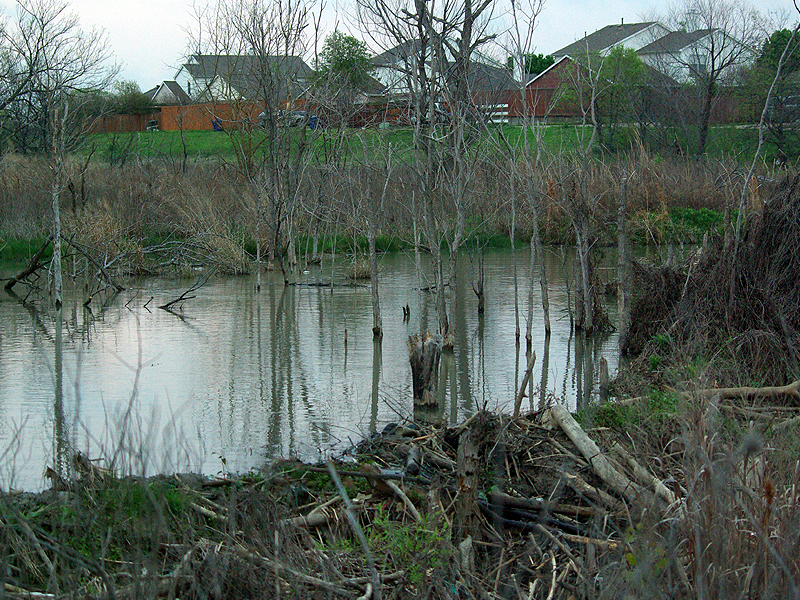 Then the pond and the Beaver dam came into view. 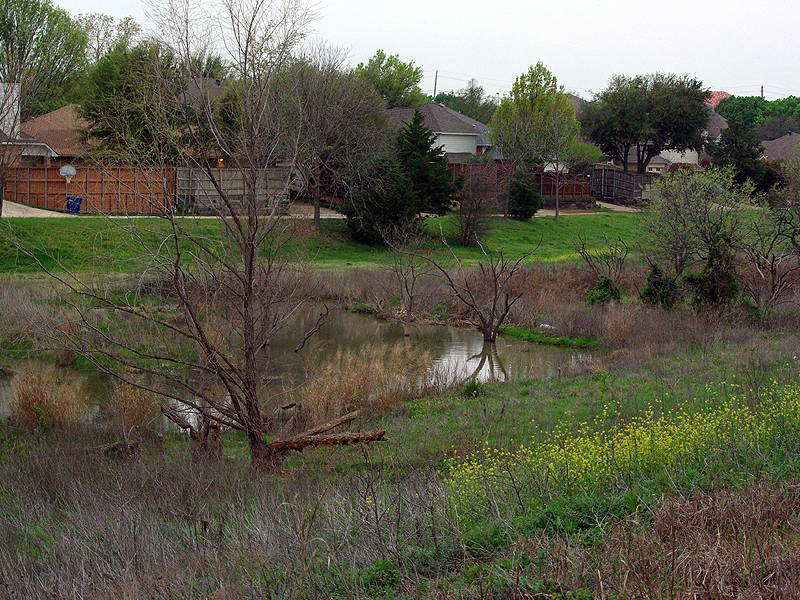 I took a few picture from an overlooking embankment and then moved down to the pond for a closer look at the dam. 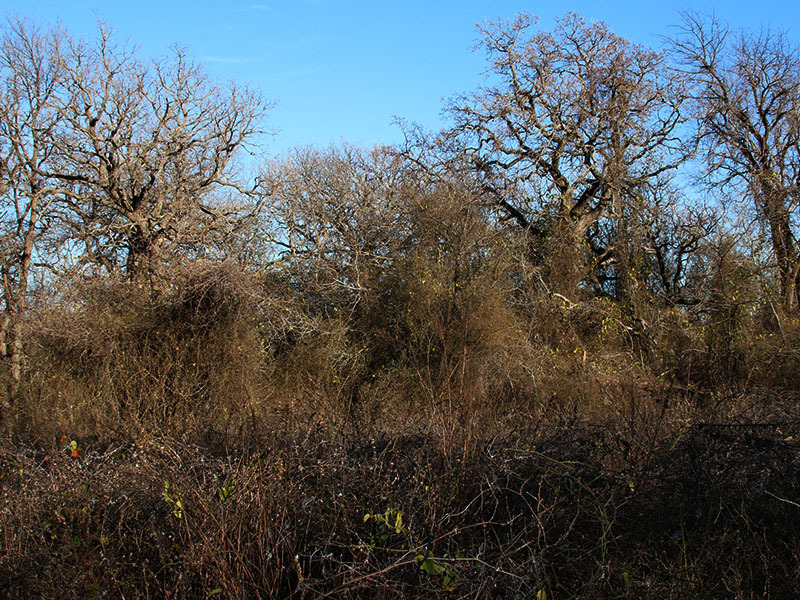 The dam was a haphazard looking structure, with branches of various sizes strewn all around. 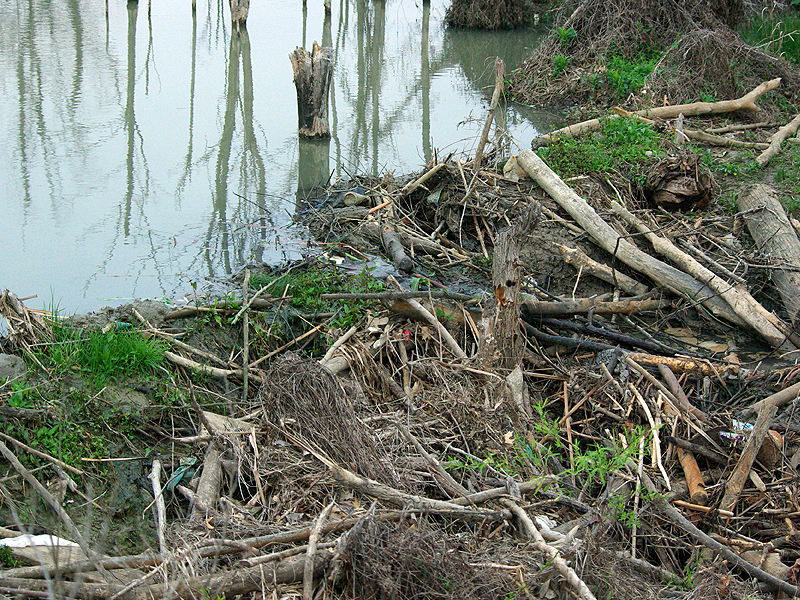 The construction of this dam included materials typically associated with Beaver dams—namely, branches and mud. 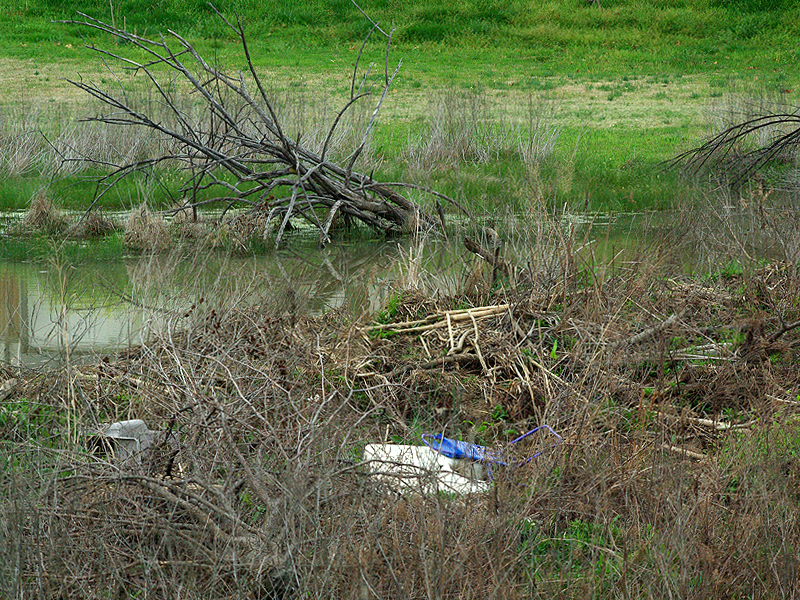 To this point, most of the Beaver dams I have encountered in the Dallas/Fort Worth area have been made of tightly packed mud and reeds. 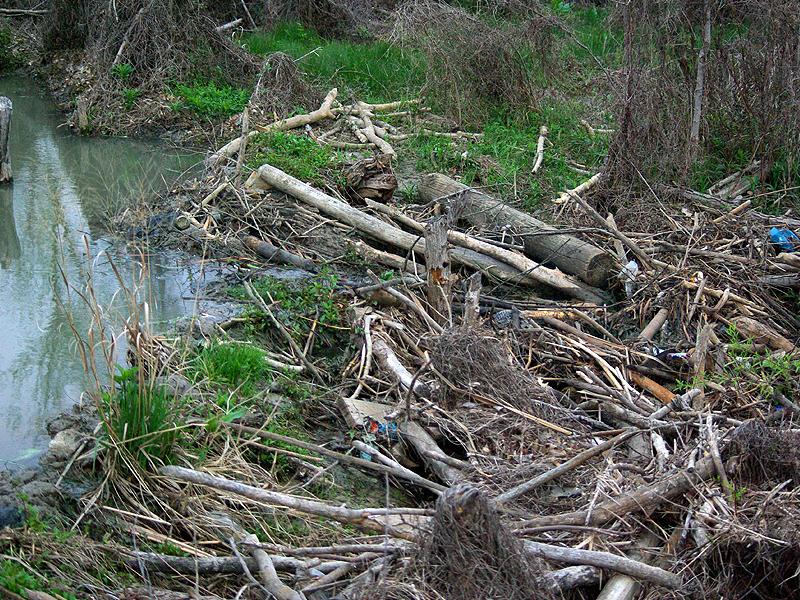 Evidently, Beavers are adaptable and will build their dams out of what ever suitable material they can find in abundance. 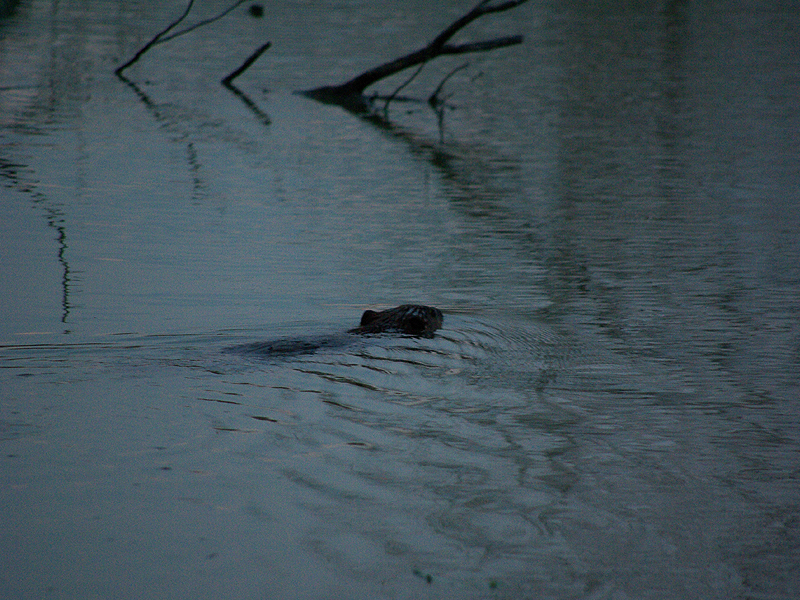 While I was taking pictures from near the dam, I noticed a line of bubbles tracing its way across the pond and headed my direction. I kept my eyes on the bubbles as they drew nearer. 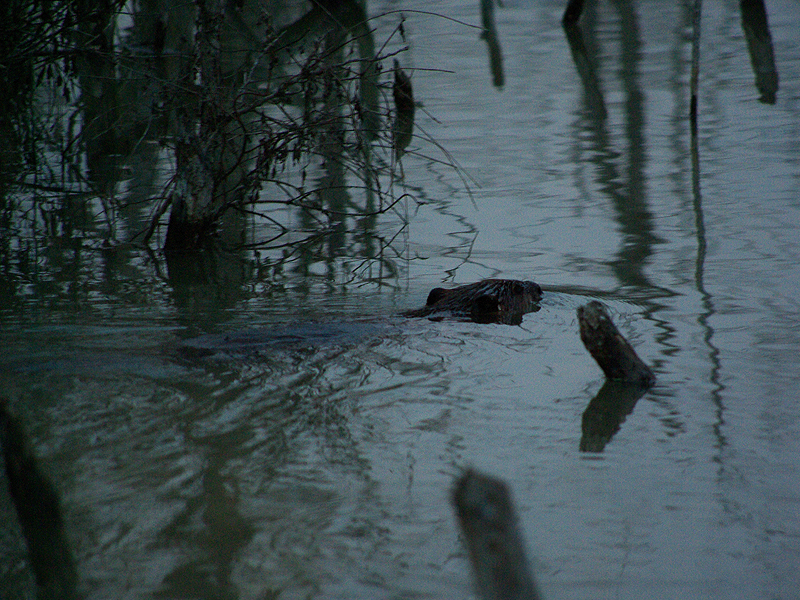 Sure enough, a Beaver surfaced just a few feet away from me. 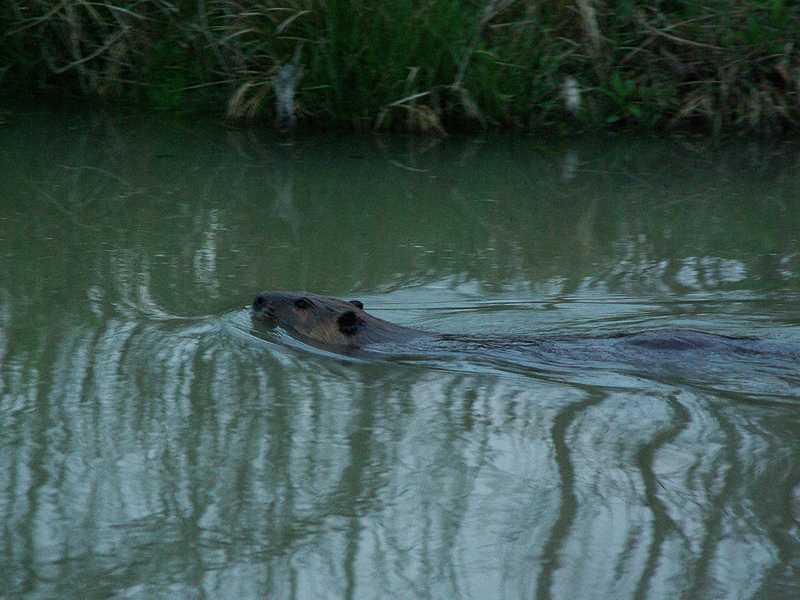 I must have startled the big rodent because he grunted, slapped the water hard with his tail, and then submerged. 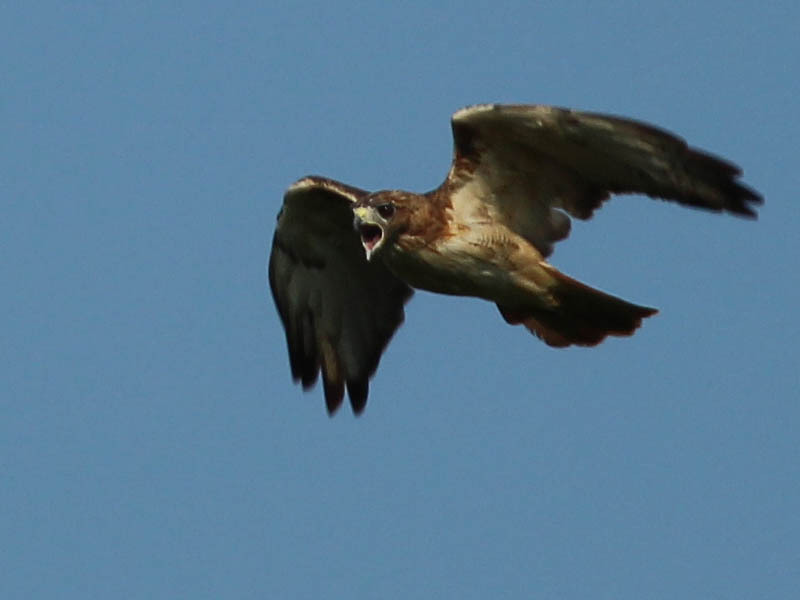 A few minutes later, he reappeared swimmingly by my location like it was no big deal. 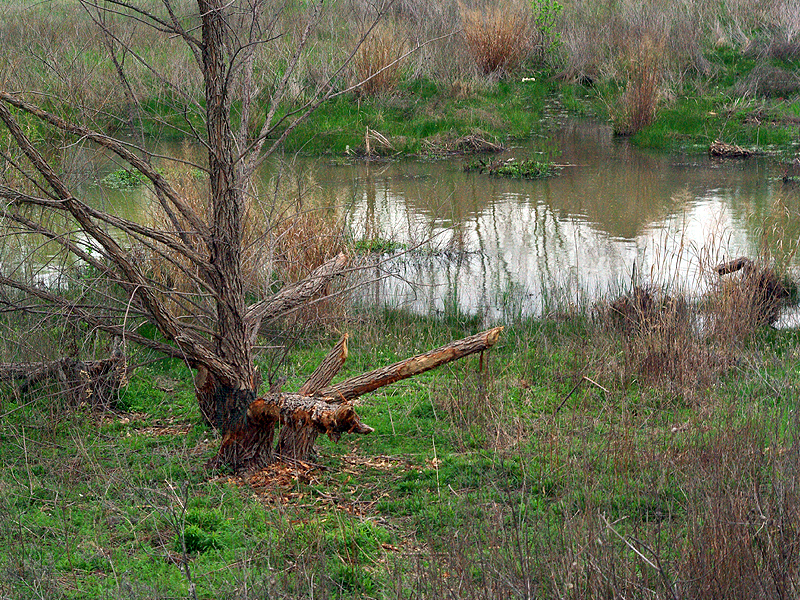 A little further down the way, I encountered the second Beaver pond. 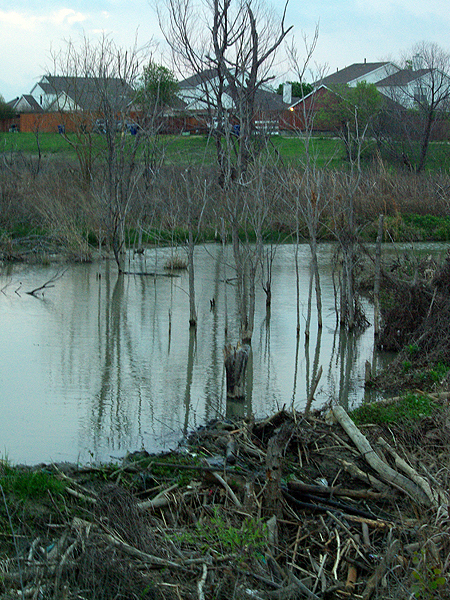 This pond is marked by lots of felled trees, and lots of in-progress cuts. 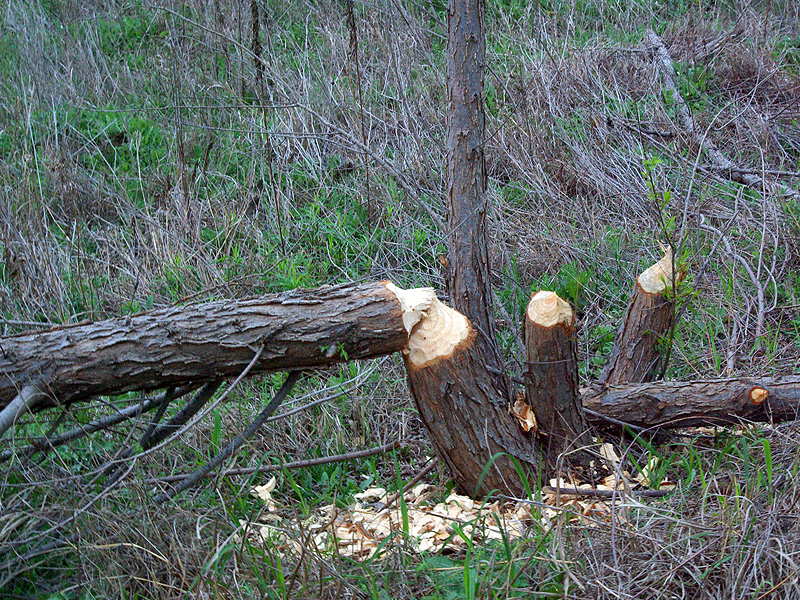 There is evidence that people have tried to discourage the Beavers from their tree gnawing, and evidence that the Beavers have defeated these efforts in a number of places.